Installed Application Listing from within Sage MAS 90 or 200 so you can see if any enhancements are displayed on the list. Tip: If you do not know whether you are running Sage MAS 90 or Sage MAS 200, either look on the title bar when the program is running or review your Installed Applications listing. Copy the ..\MAS90\ folder (and all subfolders) to the new location. In the new location, using Windows Explorer, rename the ..\Uninstall Information\ folder. VERY IMPORTANT NOTE: If security was enabled during the original installation of Sage MAS 90 or 200 , it must be enabled at the new server. If you fail to do this you won’t be able to access Sage MAS 90 or 200 if security is not enabled. Remove old icons from workstations. Re-run Workstation Setup at all workstations. Tip: If the new server has the same name and path as the original server, Workstation Setup does not need to be re-run. Start Sage MAS 90 or 200 from each workstation to verify that the program and the company data is still accessible and that no errors occur. You can find out where Sage MAS 90 is running from and verify that it’s the new location, by selecting File / Run / *INFO from within Sage MAS 90, and verify the path displayed is the one you moved into. After the copy of Sage MAS 90 or 200 is complete, the original ..\MAS90\ directory can be deleted or renamed (this is highly recommended so that any workstations where you forgot to re-map an icon do not go into the old version of Sage MAS 90 or 200 unintentionally). The Sage MAS 200 version 4.x, Application Server Service registry keys might still point to original install. If you are moving Sage MAS 200 version 4.x to a new location on the same server then backup your entire system, and uninstall and reinstall Sage MAS 200 (Note: This is for SAME SERVER only moves). At the new location, rename the ..\Uninstall Information\ folder. Reinstall System Setup and Library Master and the same original modules at the server so that a new installation will be recorded by InstallShield. This also installs the Application Server components in the new location. Reenter registration information when prompted. 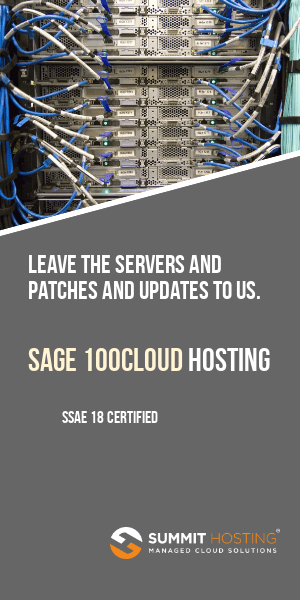 VERY IMPORTANT NOTE: If security was enabled during the original installation of Sage MAS 200, it must be enabled during re-installation at the new server. Reinstall any third party enhancements. In Windows Explorer at the server, browse to the ..\MAS90\ folder. Do not navigate to it using a UNC path or mapped drive. Note the path to the ..\MAS90\ folder. Select the ..\Home\ folder, and run pvxwin32.exe. Click ‘OK’ at the message box that displays. -Replace <path_to_mas90_folder> with the physical drive path to the ..\MAS90 folder. Please do not use a mapped drive or a UNC path. -The quotes around the path are required. -The second command above is successful when a “1” is returned. The command is unsuccessful if a “0” is returned. Remove shortcut icons from all desktops. Re-run Workstation Setup on the desktops and test that each one starts and is accessing the correct data folder (Tip: From within Sage MAS 200 use the File – Run – *INFO hidden feature to access a screen full of information that will contain the Sage MAS 200 data directory). Note: If the new server has the same name, IP address, and the workstation’s UNC path to the server is the same as the original server, only then rerunning Workstation Setup is not required. Otherwise, as is the case the majority of the time, rerunning Workstation Setup is required. Copy the ..\MAS90\ folder to the new location. Remove Sage MAS 90 icons from each workstation, re-run Workstation Setup at all workstations. Test that the workstation will startup. Use File-Run-*INFO to verify that the workstation is running from the correct data folder. Reinstall System Setup at the server to install the HOST components. Remove icons from all workstations, rerun Workstation Setup at all workstations and replace any shortcut icons that point to the original location. Note: If the new server has the same name, TCP/IP Address, and path as the original server, rerunning Workstation Setup is not required. Start Sage MAS 90 from the new location to verify that the program and the company data is accessible and that no errors occur.